The Purloined Letter (1844) marks the third and final appearance of Edgar Allan Poe’s master-detective, the Parisian‘ gentleman’ Chevalier C. Auguste Dupin. He first appeared in The Murders in the Rue Morgue (1841) and then again in The Mystery of Marie Roget (1842). He is also quite clearly the original inspiration for Arthur Conan Doyle’s detective, Sherlock Holmes. The story first appeared in the Christmas literary annual The Gift published in Philadelphia in December 1845. Poe received a payment of only $12.00 for its first printing, but the story was reprinted in many newspapers and magazines in the years that followed. 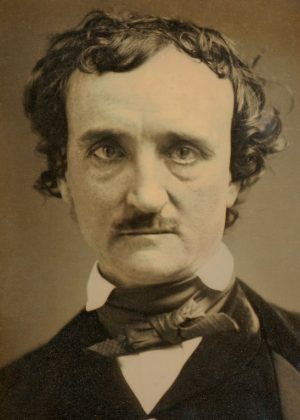 Edgar Allen Poe’s short stories are generally collected under the title of Tales of Mystery and Imagination. In them, Poe explored a wide range of topics and themes. He is most famous for his tales of Gothic horror – such as The Black Cat, The Pit and the Pendulum, and Ligeia. But he also invented the detective story; he wrote tales of science fiction (The Balloon Hoax); spoofs and satires (The Man Who was Used Up); and puzzles or cryptograms such as The Gold Bug. 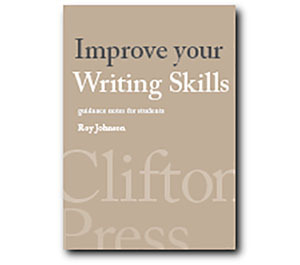 He wrote prolifically for newspapers and magazines. As a result of his engagement with the shorter literary forms he developed a theory of short stories which is still relevant today. He claimed that a successful short story should follow a set of rules. The Purloined Letter is successful because it meets all these requirements. The mystery is focussed on one topic – the missing letter. There are no digressions. All parts of the tale relate to its discovery, and the story begins and ends ‘on topic’ – with the loss of the letter and its discovery. The story has a perfectly reasonable premise. A potentially compromising letter has been stolen and cannot be located by the police. The problems this raises are then explored, and the letter is located by Dupin. The story ends with an explanation of how he found it. Its aesthetic superiority is evident when compared with the other two Dupin stories. The Murders in the Rue Morgue depends upon a rather improbable premise – an escaped Orang-Outang armed with a cut-throat razor. The Mystery of Marie Roget offers an exhaustive analysis of evidence for a puzzling murder, but it is technically unresolved. The Purloined Letter has neither of these weaknesses. The story also has an interesting structural feature. The missing letter does not suddenly appear at the end of the story as a coup de theatre, thus providing a resolution to the tale. It is unexpectedly produced half way through the story, when Dupin raffishly claims the 50,000 Francs reward for its discovery. This is a mark of Poe’s genius as a story teller. The essence of the story is not about the social value of the letter to its addressee (the Queen) or someone else who might read it (the King). There is a suggestion that the compromising contents of the letter will reveal the fact that the Queen has been sexually unfaithful to the King. But Poe’s principal interest is about how the letter is discovered. The ‘twist’ in the tale is that the letter was in full view of the police all the time. It was not, as the police suspected, concealed in any secret drawer, in the stuffing of a chair seat, or behind the wallpaper of D—’s room. 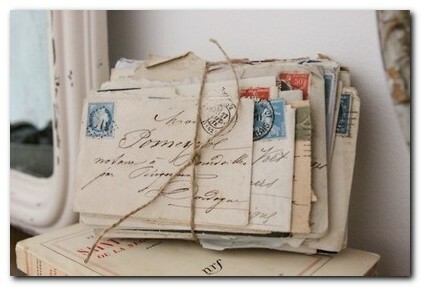 It was fully on view – but it had been disguised as a letter of no importance addressed to someone else. Poe’s literary reputation has always been high in France, and there has been a great deal of literary analysis of The Purloined Letter by modernist critics of the 1960s and 1970s. This debate is summarised in the story’s Wikipedia entry. This debate mainly centres on the symbolic significance of the letter in relation to the Queen who has received it and her husband the King who apparently is being deceived. However, this discussion ignores the fact that Poe is quite clearly more interested in how Dupin discovers the letter than in the social ramifications of its contents – which are not known anyway. These approaches to literary of analysis flow from the various schools of criticism which were fashionable in France around that time. These took a stance that literary texts could have more or less any meaning that could be read into them, irrespective of the author’s intention or even an intelligent reader’s understanding of ‘the story’. The two best known of these theories – structuralism and deconstruction – were popular and influential in Europe and America until the end of the twentieth century. But in recent years they have fallen out of favour, largely because they are now considered elitist and woefully obscure. They also have the weakness that they frequently lack common sense. Auguste Dupin and the narrator are joined by G— the chief of the Prefecture of the Paris Police. He reports the theft of a compromising letter by the minister D— in full view of its royal recipient and her husband. D— has not yet acted on the content of the letter but the police chief has failed in all his attempts to recover it. He has even taken apart the furniture in D—’s rooms and searched adjacent houses. Dupin advises him to look more carefully. A month later G— returns, still unsuccessful. A reward for the recovery of the letter has been doubled to 50,000 Francs. Dupin asks for a cheque to that amount, and in exchange he hands over the letter. When G-— has gone, Dupin explains to the narrator that G—’s methods are indeed very thorough, but they are limited because he fails to put himself into the mindset of his antagonist. Dupin criticises mathematical logic because it is a self-enclosed system which cannot be applied in the moral universe. He then describes his visit to minister D— in his office where he spots the letter, distressed, torn, and disguised, in a letter rack on the mantelpiece. Dupin deliberately leaves a snuff box behind, and returns next day to collect it. Whilst D—’s attention is distracted he takes the letter and replaces it with a dummy copy he has made.